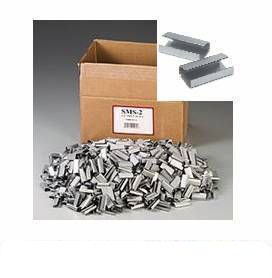 A box of 1000 metal semi open metal seals (12mm x 25mm) for 12mm hand strapping. These should be used in conjunction with a sealer/tensioner or a combination tool for hand pallet strapping. For advice or guidance on strapping, please contact us on 0845 224 3691 and ask to speak to one of our product advisors.